18 Foods That Are Good For Your Heart – Here Is Why You Should Not Miss Them! Prevention is better than cure! You will start taking the phrase seriously when you get to know that one-third of deaths around the world are caused due to heart disorders. So, can you really take charge over this? You can and it is as simple as including these 18 foods that are good for your heart in your diet starting from today because it is never too late for making a good change! Here is the list of foods that the American Heart Association suggests to the U.S citizens so as to keep their heart healthy and safe from various cardiovascular diseases. Good news is that these foods are diverse and it is much easier to pick these from your nearby stores. So, the next time you visit the grocery store, you know what to include in the basket. Here is to the big healthy list to help you know what foods are good for your heart! 1. Why Are Dark Beans The Best Foods Good For Heart? Dark beans are high in fibre and the reason why we all need fibre for a good heart health is that it reduces both your cholesterol and blood pressure levels. Fibre-rich foods also keep you full for longer periods which prevents the chances of overweight and obesity which may lead to strokes. In addition to this, dark beans contain two important phytochemicals Quercetin (helps in lowering the blood pressure levels) and Saponins (which helps in reducing the levels of cholesterol and fat) in your body. Red bell peppers are incredibly good for heart health because these are a good source of potassium which is essential for reducing your blood pressure. High levels of blood pressure can lead to a sudden stroke. 1 cup of chopped red bell peppers contains 314 milligrams of potassium which can meet up to 9% of your daily potassium requirement. Lycopene which is a special antioxidant present in red bell peppers (that is responsible for imparting a red colour to the vegetable) plays a major role in keeping your heart safe. Lycopene reduces the oxidative stress which is essential for the prevention of cardiovascular diseases. Oxidative stress is the inability of your body to produce antioxidants that can kill the free radicals. The calories and fats present in red bell peppers are as less as 46.2 calories per cup and 0.4 grams of total fat for 1 cup which prevents the chance of overweight and obesity! Salmons are the most popularly consumed variety of fish and are the best source of Omega-3 fatty acids. These fatty acids are essential for reducing inflammation. An increased inflammation damages your blood vessels which eventually results in cardiovascular diseases, particularly strokes. These fatty acids also prevent the formation of clots because they prevent the blood platelets from forming clumps. Moreover, salmon contains a special antioxidant pigment called Astaxanthin which imparts pinkish colour to the fish. The pigment helps in reducing the blood pressure levels and decreasing oxidative stress in people who are overweight and those who are frequent smokers. You can also opt for other best fish sources such as trout, mackerels, sardines, tuna, and herrings if salmons are not your preferred variety of fish. Chocolate eaters are comparatively less susceptible to heart diseases than the ones who do not eat chocolate. Researches have proved it that dark chocolate can reduce the chances of coronary heart diseases (the disorder in which the coronary arteries become narrow) which reduces the active supply of blood and oxygen to the heart. A regular consumption of dark chocolate (twice a week) can reduce the formation of plaque in the arteries which may lead to a condition called Atherosclerosis. Dark chocolates are a good source of antioxidants called flavonoids that improve your heart health by fighting free radicals that are responsible for cell damage. Make sure that you choose the one which is dark in colour because a dark coloured chocolate indicates the presence of more cocoa and it is the cocoa that contains flavonoids. Making a simple habit of munching almonds every day can keep your heart healthy and safe. This is because these nuts contain fats which are unsaturated. Monounsaturated fats which account to 29.3 grams for one cup grounded almonds are good for heart health because they can lower the amounts of bad cholesterol in your blood. Almonds are also a good source of fibre which keeps the blood pressure levels controlled so as to prevent strokes and other heart diseases. Soak a handful of almonds (6-7) in water overnight. Peel the outer layer the next day in the morning and have them before or after your breakfast. If you are not a meat eater, walnuts are the best food source to gain omega-3 fatty acids. Walnuts especially contain Alpha-Linolenic acid which can reduce the chances of heart diseases by reducing the levels of LDL. 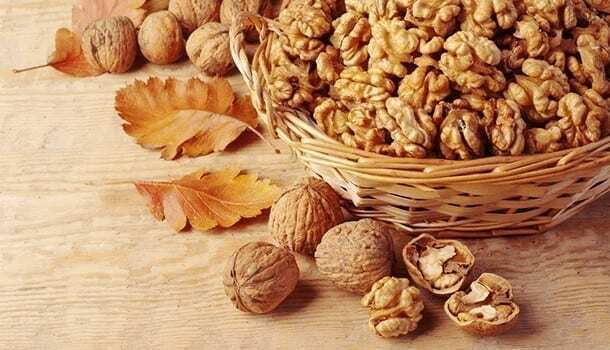 Walnuts are an excellent source of Vitamin E which is a kind of antioxidant that is responsible for damaging the free radicals and reducing the oxidative stress. You can top your oatmeal with a handful of walnuts to enjoy a tasty and healthy breakfast because both walnuts and oats are a part of heart healthy foods list. 7. What Makes Flax Seeds One Of The Best Foods For Heart Health? Though flax seeds appear tiny and avoidable, they make the best supplier of omega-3 fatty acids for vegans. Consuming a tablespoon of flax seeds on a daily basis can give you ample amount of fibre because just 100 grams of flax seeds contain 27 grams of fibre. Alpha- Linolenic acid which is a type of omega-3 fatty acid is also present in flax seeds which prevents the chances of coronary heart diseases. Furthermore, lignin which is a special type of antioxidant present in flax seeds reduces the systolic blood pressure which is helpful in preventing hypertension (a rise in blood pressure). 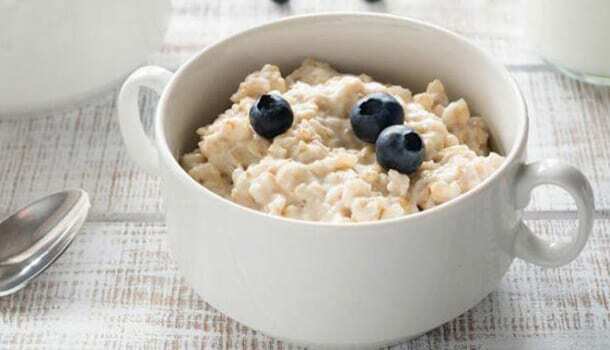 The best breakfast food that you can choose from the heart healthy foods list is oatmeal. Oatmeal is a great source of soluble fibre which contains a special compound called beta-glucan that can reduce the amount of bad cholesterol (LDL) in your body. Oatmeal also helps in an easy digestion and also keeps your stomach full which helps in weight loss so that there is no chance of overweight or obesity. Topping your oatmeal with fruits such as berries can make your breakfast appetizing and at the same time serve your purpose because berries are also few among the heart healthy foods. Broccoli are a variety of cruciferous vegetables which are anti-inflammatory in nature. This property can keep your heart in a safe zone, away from heart diseases and strokes because an increased inflammation may severely damage your blood vessels. 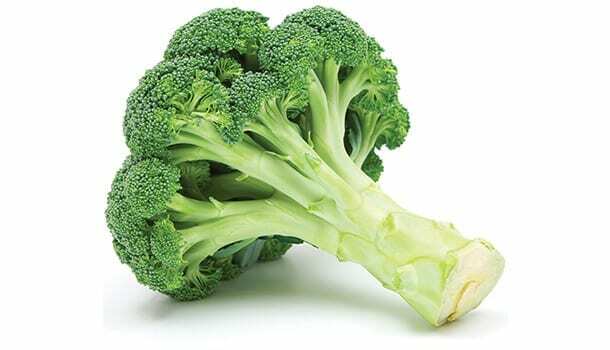 It is the nutritional properties of broccoli which makes the vegetable heart healthy because it contains good amounts of potassium, magnesium and calcium all of which are necessary for controlling the blood pressure. Broccoli is also low in sodium and an increase in the levels of sodium can cause a high blood pressure. Apart from this, vitamin C present in the vegetable shows antioxidant properties that can reduce the number of free radicals and prevent cell damage. One major reason to include asparagus in your diet is its folate content. Just one cup of asparagus which is around 180 grams provides your body with decent amounts of folate which meets 61% of your daily folate requirement. Folate is essential for breaking down an amino acid which may get accumulated in your blood due to a frequent meat consumption. This makes meat eaters highly susceptible to cardiovascular problems which is why you must include asparagus in your regular diet to protect your heart from an early damage. Asparagus is also a good source of fibre and also contains fewer calories both of which help in maintaining an ideal body weight. 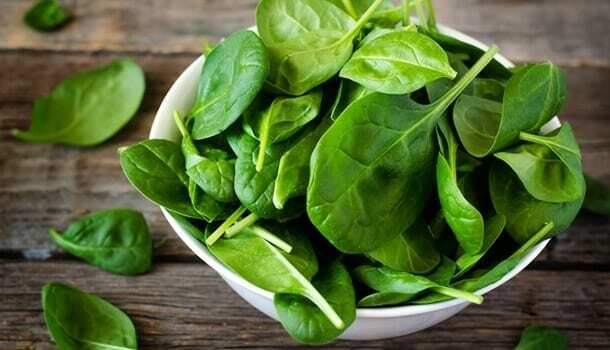 One cup of spinach can help you meet 14% of your daily vitamin C requirement and the vitamin as we all know contains antioxidant properties that can fight free radicals. Spinach also contains beta-carotene which is a powerful antioxidant responsible for keeping away various heart diseases and cancers. Similar to asparagus, folate is also present in spinach which reduces the amount of homocysteine which can cause various heart disorders if it is not broken down. In addition to this, potassium and magnesium contents in spinach can keep your blood pressure in control. Tofu is a soy product and soy products are a great source of special compounds called soy isoflavones which show anti-inflammatory properties and provide a good elasticity to the blood vessels. A study conducted among the group of women who reached their menopause stage proved that an intake of soy isoflavones can increase the amount of good cholesterol (HDL) in your body. Tofu also reduces the chances of being overweight and is considered as a weight loss food because of its rich protein content which can keep you full for longer periods. Saponins which are a special kind of chemical compounds present in Tofu help in reducing the chances of heart diseases. Berries are one of the topmost antioxidant-rich foods which makes them the best foods for heart health because they protect your body from being subjected to a continuous free radical damage. The presence of a special type of pigment called anthocyanin in berries can reduce the oxidative stress as well as inflammation both of which may result in cardiovascular problems. Among all the famous berries, you can choose strawberries, raspberries, cranberries, and blueberries to enjoy the rich nutrient properties. Strawberries, in particular, are said to reduce the amount of bad cholesterol (LDL) in your body. They also reduce the systolic blood pressure so as to prevent the chances of strokes caused due to an elevated blood pressure. Red wine contains a special compound called resveratrol (an antioxidant) which plays a major role in safeguarding your heart health. The compound is said to reduce inflammation and prevent the chances of blood clotting. It can also prevent the blood vessels from getting damaged and decrease the amount of bad cholesterol (LDL) from your body. 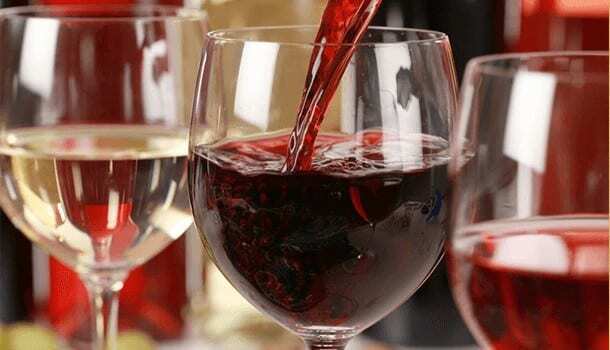 The alcohol content in red wine can also increase the amount of good cholesterol. However, you have to be careful about the levels of consumption. The limit of alcohol consumption is 30 ml per day and 201 ml per week. Note- If you are not a wine lover, you can choose to eat more fruits like cranberries and blueberries because you can find the anti-oxidant (resveratrol) in these fruits also. Tomatoes are the best source of Lycopene which is an antioxidant, responsible for imparting a red colour to the tomatoes and preventing the free radical damage which may increase the chances of strokes. Tomatoes are known to reduce the number of lymphocytes (which are a kind of white blood cells). A decrease in the white blood cells has a drastic effect on your immune system. Vitamin C and vitamin E present in tomatoes also contain antioxidant properties which can prevent the chances of heart diseases. Whole grain foods contain abundant vitamins, minerals, and fibres which are heart healthy. Further, they help in reducing the amount of bad cholesterol and reducing the chances of strokes. You can include more whole grains like oatmeal, brown rice, and whole bread to keep your blood pressure in control because whole grains are said to decrease the systolic blood pressure. The fact that whole grains are a good source of fibre will also prevent weight gain because fibre keeps you full for longer periods and also helps in an easy digestion. 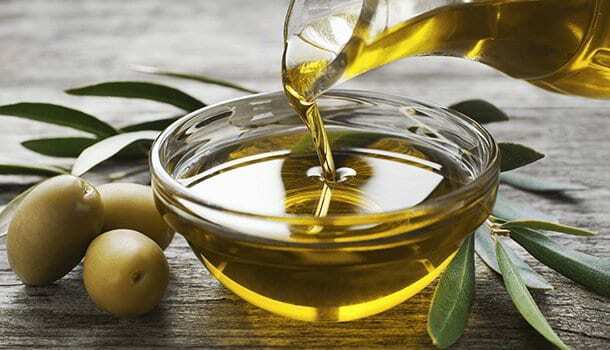 Replacing your regular oil with olive oil can stabilize your heart health and prevent various types of heart diseases because of its anti-inflammatory properties. Olive oil also contains the monounsaturated fatty acids that will reduce the amount of LDL (bad cholesterol) in your blood. Apart from using this as your cooking oil, you can also dress your salads with extra virgin olive oil to gain the maximum benefits. Consuming fruits is in one way good for your heart because it reduces the chances of excessive weight gain. A regular consumption of fruits prior to your lunchtime can reduce your appetite and keep your tummy full for long periods. But, you may have to choose the best heart healthy fruits like oranges, papayas and cantaloupes since they contain an important antioxidant – beta-carotene which fights the free radicals, fibres which reduce the cholesterol levels and the important minerals- potassium and magnesium that control your blood pressure and prevent the chance of a sudden stroke. Most of the deaths occur due to a poor heart health which is why there is a dire need for you to keep a check on your heart health. The key to a healthy heart lies in the choice of your foods. Refer to the above mentioned top 18 foods that are good for your heart that can prevent various types of cardiovascular diseases including strokes and other chronic heart disorders. Fortunately, you will easily come across these foods in the stores. Why wait, keep the list with you and take the step to put your heart in the safe zone!